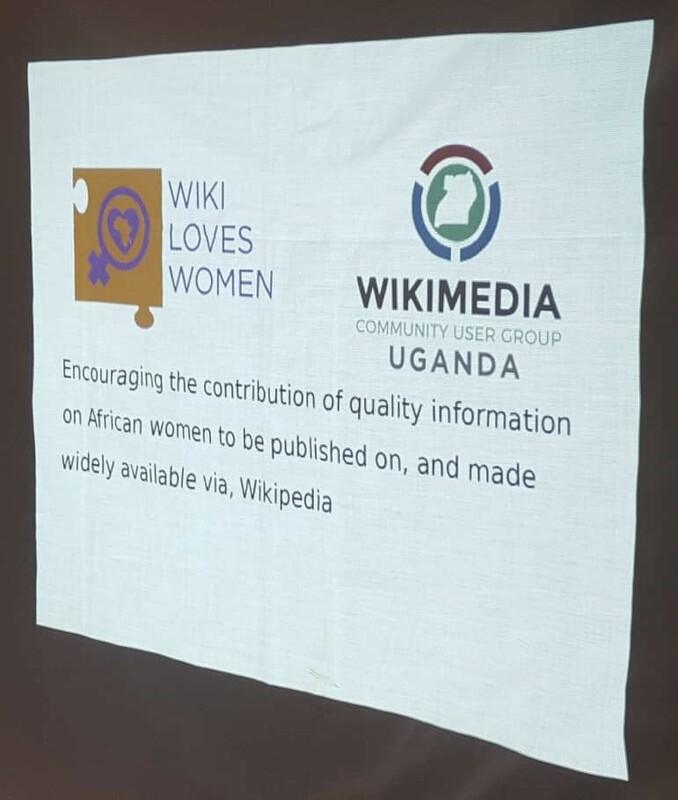 The goal of the Wiki Loves women project is to see an increase in the content celebrating women achievers while at the same time acting as a mirror to the realities of women and the girls in Africa. Women in Uganda have stood out in several fields. These range from politics, academia, business, Creative Arts, Sciences, and so forth. A number of organisations in Uganda celebrate Women’s achievement and contribute to the success of women in different career paths. One of these organisations is FEMRITE, The Uganda Women’s Writer’s Association. They held a week of Literary Activities from 23rd to 28th July at the Uganda Museum, where they celebrated women writers. The Wiki Loves Women team joined them on Thursday 26th July to facilitate a Wikipedia Editing Session that would see an increase in content about female writers and achievers on Wikipedia. 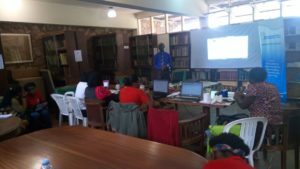 The purpose of the session was to teach the participants who included ladies and gentlemen, how to increase content on Wikipedia through creating new articles and improving existing ones. The session started at 9:00 am and went on until 5:00pm, with two breaks of breakfast and lunch. Twenty six participants took part in the workshop. The Wiki Loves Women team introduced them to the Wiki Loves Women project before they shared the benefits of being an editor on Wikipedia, the rules of creating articles, what to share and what not to share. The participants were enthusiastic about the event since it gave them a chance to add to the content on Wikipedia. The three sessions of the day were led by Jeffrey, Ivan and Douglas who took the participants through creating pages, referencing, searching for information and improving already existing articles. The participants asked for a second session where they would share the contributions they would have made on Wikipedia and to have any questions they still had, answered.